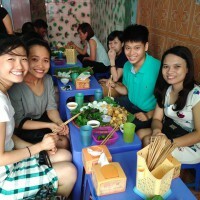 Overview: Along with its fast-growing economy, Vietnam has also seen a lot of social problems arising in recent years. To help solve those issues, a number of Non-profit/Not-for-profit organizations and Social Enterprises have been founded from North to South to address different topics from child rights, nutrition, family planning to sustainable development, social justices and post-war issues. Come to Vietnam and make your internship abroad a life-changing experience not only for yourself but also for the place on which you leave your footprints. It should be noted that the benefits a student can be provided with often vary by placement and depend mostly on their host organization. Internship Titles: Project Coordinator and/or Project Assistant for different social and community projects in different fields including: Corporate Engagement, Agent Orange, Capacity Development, Child Rights, Climate Change, Community-based and Responsible Tourism, Disability, Disaster Management, Ethnic Minorities, Eye Care, HIV-AIDS Prevention, Landmines, Microfinance, Sustainable Agriculture and Natural Resources, Water Supply, Sanitation and Hygiene, Social Performance Management, etc. 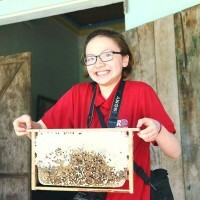 TÒHE (http://tohe.vn/en/) is a social enterprise in Vietnam that provides a creative learning playground for disadvantaged children to play and learn in a different academic setting. Selected artworks from art classes have been redesigned and printed on lifestyle products such as: clothes, accessories, home ware, toys, etc, branded under the name TÒHE and distributed both in Vietnam and internationally. Portion of profits are used to fund the creative class & scholarship program for talented children. In designing their products, TÒHE explores the innocent beauty, free coloring and infinite imagination of the kids’ art. The disadvantaged kids’ art also reflect their optimism and love of life, it proves that difficulties and deprivations cannot hinder the spirit, the soul and the imagination. TÒHE’s founders would like to encourage more innocent and care-free approaches to life in a world with more sincere, equal and helpful relationships among people. They are trying their best to bring as many TÒHE products to consumers as possible in an effort to spread and nurture the innocence and pure joy of children that many people lack because of the worries and pressures of adult life. TÒHE is named after a Vietnamese traditional toy made from rice flour and natural colors which, once it has been used as a plaything, can also be eaten. TÒHE project aims to be like a toy in creating opportunities for children to play while generating income to improve their lives. ChildFund Australia is an international development agency that works in partnership with children and their communities to create lasting and meaningful change by supporting long‐term community development and promoting children’s rights. ChildFund Australia’s goals are to deliver quality development programs that are respectful, responsive and effective. ChildFund began working in Vietnam in 1995 and operates community development programs in the areas of education, water and sanitation, sustainable livelihoods, food security, child rights and child protection and maternal and child health, including HIV prevention. ChildFund’s programs are being implemented across the northern provinces of Bac Kan, Cao Bang and Hoa Binh, where the majority of people are from ethnic minority groups, often the most vulnerable or marginalized sections of the population. Propose new ideas for project team to develop new community development projects. MACDI is a science and technology organization which aims to improve the position/living conditions of: 1) Communities threatened by natural disasters; 2) People who do not receive sufficient (medical) care; 3) Poor farmers: helping with improved, sustainable agricultural production and integration in agricultural chains while maintaining food security, extending microcredit loans; 4) People living in urban slums: using a multi-actor approach to create better living conditions, along with concrete initiatives for community regeneration; 5) Capacity building for small and medium enterprises, cooperatives and micro-finance institutions so that they can expand their impact to their members. MACDI provides practical solutions which address the issues of environment protection, economic growth, climate change response, gender equality, market-oriented and market linkage. MACDI supports organizations, small enterprises and cooperatives in reaching their business success so that they have positive impacts on poor people, helping them to increase income and improve life quality. MACDI is proud to be a partner of the Vietnam Chamber of Commerce and Industry (VCCI) and Co-operative Alliances of Vietnam (CAV). It has provided technical support to more than 10,000 customers from small enterprises and a member of the Co-operative Alliance of Vietnam. In addition, MACDI implements micro-finance program integrated with programs to support business development, environmental protection, climate change adaptation and gender equality. 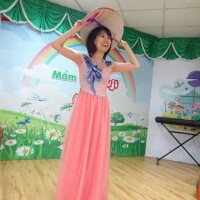 The program has helped more than 8,500 women from ethnic minority in Hoa Binh, Quang Binh, and Ha Giang, the poorest provinces of Vietnam achieve sustainable livelihood. Assist project team in researching, preparing documents for trainings and workshops, design training/workshop backdrops, standees, posters, and producing training/workshop video clips, etc. Kenan Institute Asia is a knowledge and capacity building organization implementing results-oriented, social and economic development programming on a not-for-profit basis. With their headquarter in Bangkok, they conduct activities in Cambodia, Lao PDR, Myanmar, Thailand and Vietnam, as well as regional activities in Southeast Asia. Their focus areas include business and economic development, education, public health, and corporate social responsibility. Featured Host Organizations: SNV Netherlands Development Organization Vietnam (SNV Vietnam), Microfinance and Community Development Institute (MACDI), Centre for Sustainable Rural Development Centre for Sustainable Rural Development (SRD), Good Neighbors International in Vietnam (GNI), etc. Want to get an internship in this field? Learn more about the steps needed for applying and send us your application whenever you are ready! 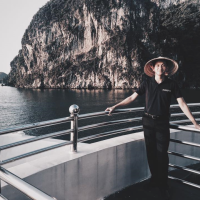 I was extremely satisfied with my internship in Vietnam experience in general and the service that was providedby SE Vietnam in particular. The staffs always listened to my worries, and they tried to keep my safety and that really relieves my anxiety being in a foreign country. 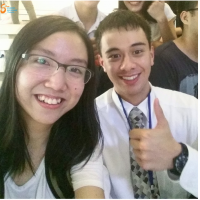 I was very nervous because it was my first time in Vietnam, but Student Exchange Vietnam (SEV) made me feel that I made a right decision to come for an internship here. They will not let you feel away from your home as they will treat you not just like a student intern but as a part of the SEV family. The knowledge and skills I have gained from the internship surpass the classroom environment and definitely will set a firm base for me in my future career plan. Also, living in the apartment for SE interns, I have found myself such wonderful friends who share the same interest. What is more precious to explore an unfamiliar place, do what you love and make friends with such awesome people?